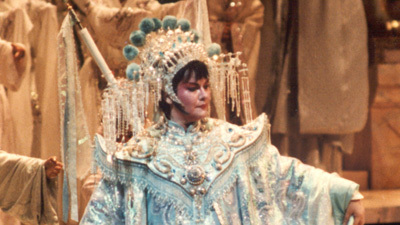 Franco Zeffirelli’s golden production stars the great dramatic soprano Nina Stemme as Turandot, the icy Chinese princess who has renounced all men. 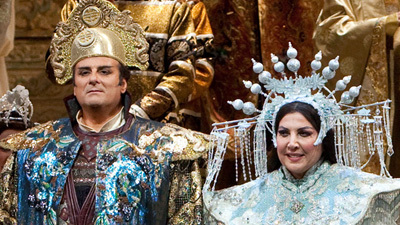 Marco Berti is Calàf, the unknown prince who solves Turandot’s riddles and wins her love. Anita Hartig sings Liù, the faithful slave girl who gives her life to save Calàf, and Alexander Tsymbalyuk is Timur. Paolo Carignani conducts.